By sarah on July 20, 2017. 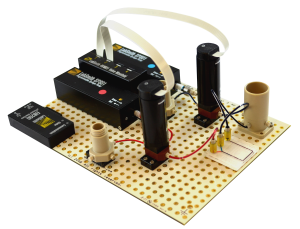 Attention educators: We are seeking your input as we develop our new Microfluidic Toolkits for Education! LabSmith’s toolkits enable quick and cost-effective introductions to topics across all disciplines, including engineering, lab automation, analytical instrumentation, data analysis, and microfluidics. Learn more at labsmith.com/education. Our work is currently supported by an NSF SBIR grant with beta testing occurring throughout the 2017-2018 academic year and sales beginning in mid-2018. By sarah on October 23, 2015. LabSmith has an innovative new automation software package that makes it easy to use real-time microscope imagery to control flow automatically. Our latest uProcess software includes a plug-in for automated control of the SVM340. 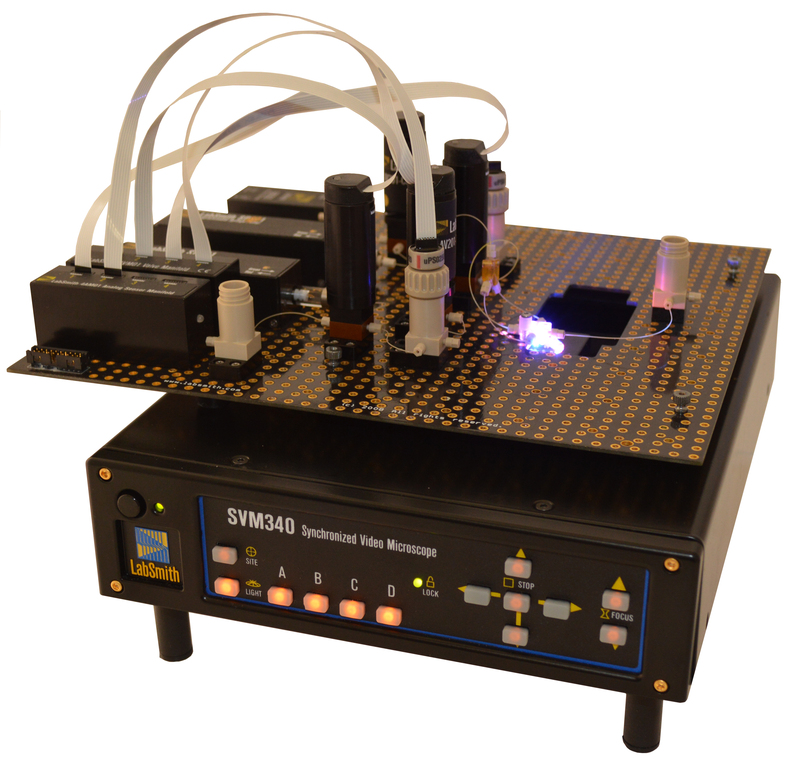 Now you can write sequences to control SVM340 stage position, illumination, snapshots, and videos. When used in combination with the uProcess automated fluid handling devices (syringe pumps, valves, and pressure sensors), the new software provides complete experiment and imaging control. The uProcess software update is FREE to all SVM340 and uProcess customers. Click here to download the new uProcess Software. Instructions for using controlling the SVM340 in uProcess are given in Section 6 of the new uProcess user’s manual.